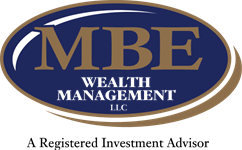 MBE Wealth Management is an independent fee-only Registered Investment Advisor. Fee-Only = We don’t sell on commission and we receive compensation only from our clients. Registered Investment Advisor =We are, at all times, bound by our Fiduciary Duty to our clients. 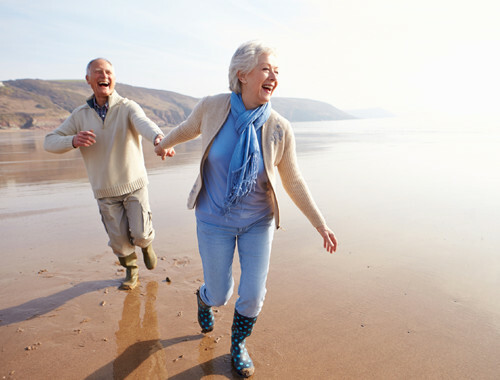 The team at MBE Wealth Management takes great pride in providing full-service financial planning and investment management services for business owners as well as soon-to-be retirees and those enjoying retirement. Through our partnership with MBE CPA’s, we offer a unique planning experience by coordinating both taxes and investment management. Additionally, for business owners, our partnership with both MBE CPA’s and Payroll Solutions allows us to offer a robust platform for all stages of growth for many local businesses. Not sure how to find an advisor? Read up on our guide before you begin your search! Yes I Want To Read This! You have a million reasons to get a second opinion. We'll give you 50 more. Schedule your InsideLook review today and receive a $50 gift card to one of your favorite local restaurants. Learn what you’re doing well and where you could do better. No costs. No commitments. Just an InsideLook. 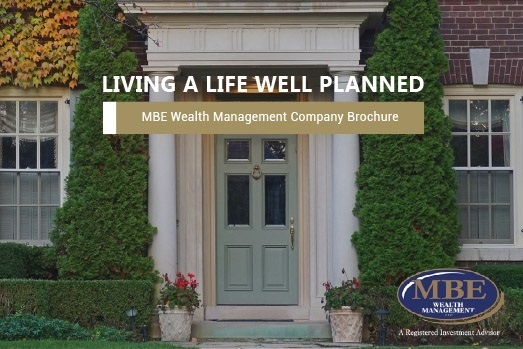 MBE Wealth Management LLC is pleased to provide you with our interactive digital brochure. 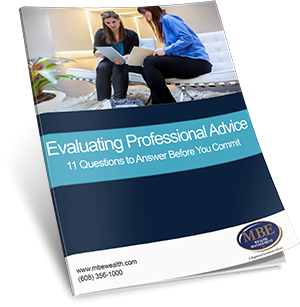 Inside we offer some insight into who we are as a company, how we work with our clients, and ultimately why MBE Wealth Management may be a good fit for you. 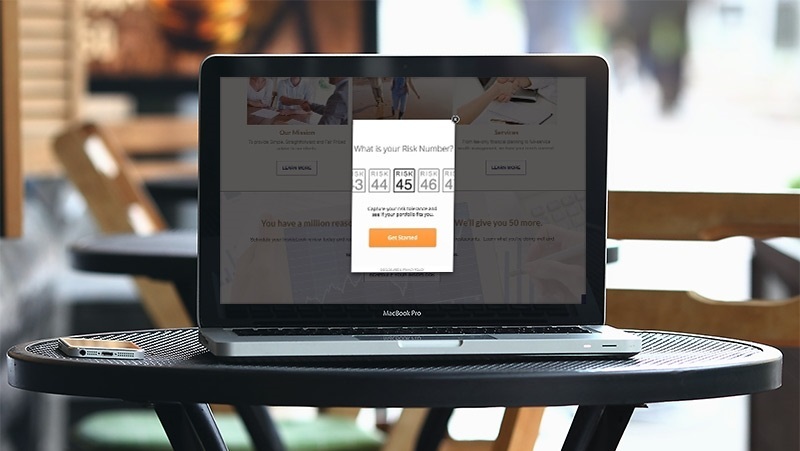 The first thing to do is take a simple 10 minute quiz that asks you to identify your top goals and what you are willing to risk to achieve certain returns. Then Riskalyze will provide a specific Risk Number for you. The next step is to use the software to identify how your current and proposed portfolio would have handled various market events over the past decade, including the "great recession". The final step is to help you understand how to implement the proper portfolio that matches your Risk Number. To provide Simple, Straightforward and Fair Priced advice to our clients. 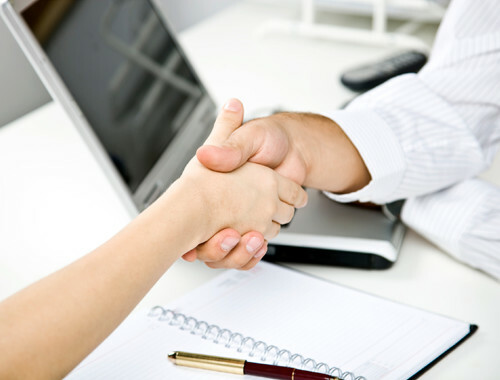 As an independent Registered Investment Adviser, we are held to the Fiduciary standard. Your interests always come first. 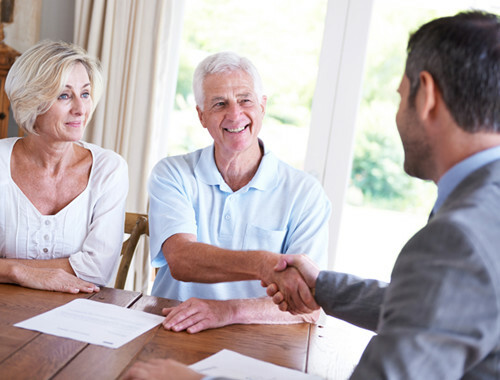 From fee-only financial planning to full-service wealth management, we have your needs covered.